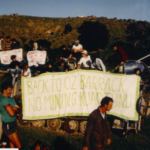 Last November, in her Speech from the Throne, Prime Minister Jacinda Ardern announced there would be no new mines on conservation land. Then in May 2018 it was announced that there would be public consultation on it – despite having gone ahead and effectively banned new oil everywhere – except Taranaki. The Industry immediately began rallying, throwing a no doubt substantial amount of resources at lobbying Govt, lobbying other powerful industries for support and developing a campaign approach to the public consultation announced. 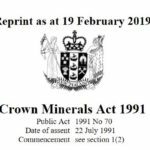 Coromandel Watchdog would have expected a moratorium to be put on granting new exploration and prospecting permits after the announcement, but no such measures were taken, and there has been a flurry of new permits applied for since. There are a number of areas that really give us concern. One, is that the Industry will be looking to really limit what constitutes conservation land – or at least to somehow value scale it. But it couldn’t be ground-truthed – so it is likely that existing designations would be the measure used. For example, the industry may well seek to have various classes on conservation land excluded, such as Stewardship Land. We have heard any number of industry spokespeople claiming that Stewardship Land is low value land, has no value etc. This is simply not true! ‘Around 30% of conservation land is stewardship land. This type of conservation land comprises a number of areas that were allocated to DOC when it was formed in 1987. They were former State forest and Crown land areas considered to be more appropriately managed for their conservation values by DOC. The intention was that DOC would act as a steward of these areas until their destiny was determined. In addition to the above areas, there is other land that is held under the Conservation Act 1987 (e.g. land that has been acquired, transferred, exchanged or gifted) that is also managed as stewardship land.’ From doc.govt.nz. Do you get out into our conservation land sometimes? Go bush? Do you know what kind of DOC land your favourite spot is? Is it an Ecological Reserve? Or a State Forest? Maybe it’s a National Park? Or, maybe it is Stewardship Land? Take it look, you might be surprised. There is quite a bit of Stewardship Land on the Coromandel – all down the range.